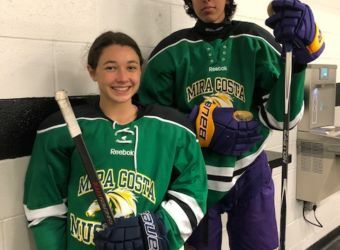 The Mira Costa Ice Hockey team is made up of Varsity players who typically play on club teams that range from A to AAA. 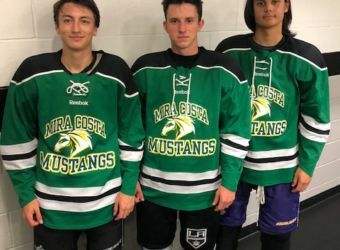 Mira Costa only allows students that attend Mira Costa to play for the team, although within the league other teams allow free agents, where players from other schools can play on a team. Last year there were 15 Varsity teams in the league. All games are played at Toyota Sports Center in El Segundo. Support Costa Ice Hockey by purchasing apparel! 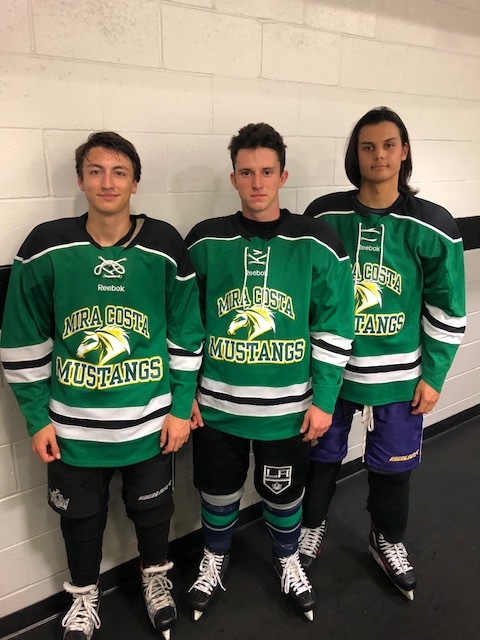 Click Here to purchase Costa Ice Hockey apparel. 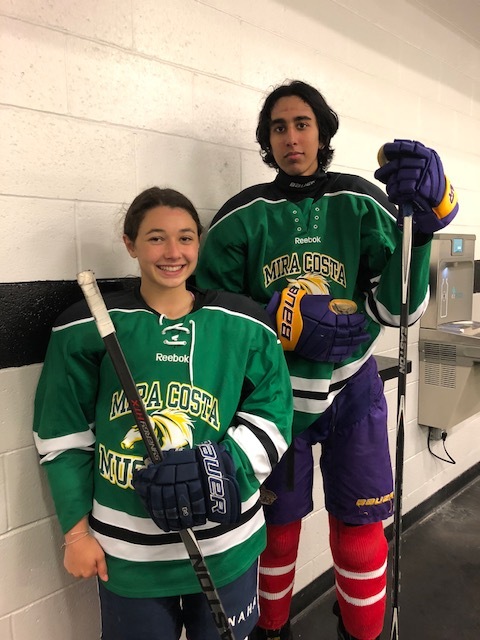 2018-19 Season Highlights: Costa Hockey team wins season final game and heads to playoffs! Ice Hockey is a co-ed sport, and is a cut sport. There is usually only a Varsity team, but there will be a JV team if there are enough players. Tryouts or ‘pre-skate’ are conducted before the holidays, and the event lasts between a couple hours. Experience playing organized hockey is required. Games begin in early March and end in early June. All games are at Toyota Sports Center in El Segundo, and it is a non-checking league.